A new Emergency Medical Services helicopter will soon provide 911 service for Maui, Molokaʻi and Lānaʻi. 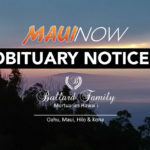 The helicopter will be dedicated on Tuesday, April 2, at the Maui Memorial Medical Center helipad. REACH Air Medical Services is supplying the new medically-configured, twin-engine Airbus H-135 helicopter, which is equipped with the latest avionics and safety features. 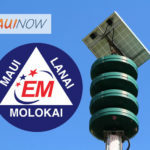 The company also will provide the pilots and aircraft maintenance technicians for the Maui-based operation, while American Medical Response will provide the medical flight staff. The state Department of Health cost shares this unit with the County of Maui, with the department billing for services. There have been 635 medevac missions since EMS helicopter operations began in 2004. Maui medevac responds to field calls of serious to critical nature where there would otherwise be an extended transportation time to the emergency room. 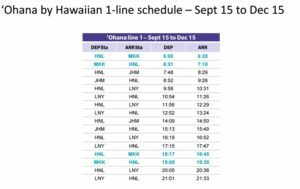 Trips from Hāna, Lānaʻi, Molokaʻi and West Maui have logged the most missions. Pacific Helicopters previously provided the helicopter, pilots and maintenance. REACH Air Medical Services under Air Medical Group Holdings has been working with AMR under the new parent company Global Medical Response since March 2018.